If you’ve got an Isle of Man based business we can help you access financial support for your next IT project. How would you like to save up to 50% on your next IT project? Or maybe you’ve never thought about how technology could help your business develop? Whether you’ve got an established business or a new start-up, Netcetera can help you take advantage of technology. We are registered consultants for the Isle Of Man Government’s Business Support Scheme and we can assist you to take advantage of the financial support available, for Isle Of Man based businesses. We’re here to help you get the best technology, the best support and the most reliable hosting available. With funding available for a variety of projects, from the online marketing of your business, a new website, a cloud-based IT platform or perhaps a reliable backup system to ensure your business can survive in the event of a disaster remaining compliant with data protection legislation. We can help you review what you have and what you will need to achieve your goals. With over 20 years of experience within the IT and datacentre solutions industry, our friendly team of experts are on hand to help you grow your business. Get in touch today and we’ll help you save money and make your business a success. Another great month for Netcetera clients. 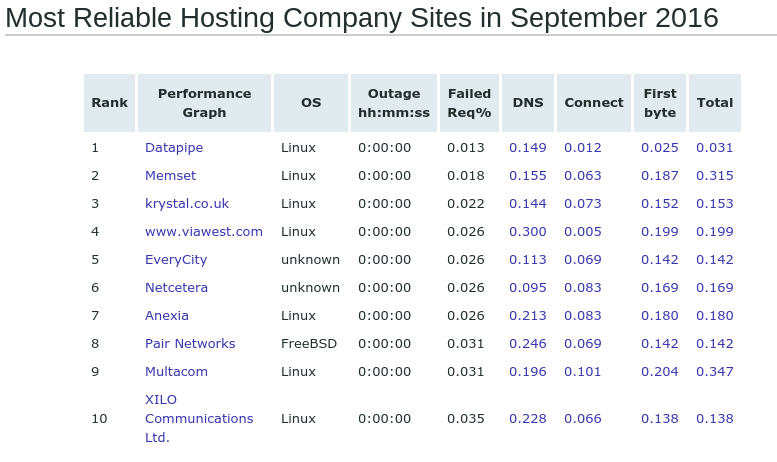 Netcetera has come in at #1 out of all the UK’s top ISP’s monitored by Webperf, the Monitoring Service Company. 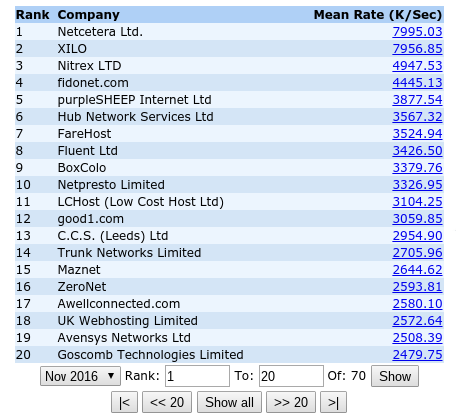 Since the start of 2016 Netcetera has regularly been in or around the top spot for speed of hosting and reliability of service and this high standard has been maintained right throughout the year with another month at the top of the Webperf rankings. As we come to the end of our 20th Birthday year, we’ve decided to end the year with some fantastic deals on hosting, managed cloud, and dedicated servers, so with so many great deals around there has never been a better time to find out how one of the UK’s most reliable hosting provider can transform your business. Netcetera is proud to announce that once again we have appeared in Netcraft’s global list for the most reliable web hosting companies. 2016 has been a busy year for us as we continue to build upon our vast portfolio of the latest hosting, cloud, backup and managed IT solutions, despite of the introduction of some great new solutions we still haven’t lost focus on providing some of the fastest most reliable secure hosting available anywhere on the planet. Netcraft’s endorsement also goes to show that our commitment to the environment and our use of green energy does not adversely effect the excellent performance and reliability of the hosting we provide. For many businesses looking to negate their carbon emmissions and play their part in reducing global warming, hosting with Netcetera is an excellent way to achieve some of these goals. As we enter the final part of 2016 we are now looking forward to providing our leading reliability and support to the latest version of the Windows 2016 Server. Exciting times await as we roll out the latest Microsoft Server solution across a range of Cloud and Dedicated Server solutions. Netcraft independently monitors and measures the response times of fifty leading hosting providers’ sites. These performance measurements are made at fifteen minute intervals from separate points around the Internet, and averages are calculated over the immediately preceding month. Netcetera has again been ranked in the top 10 in the world for the month of September 2016. Switching to better hosting has never been easier with our awesome 24/7 technical support and our new concierge service there’s never been a better time to find out what better hosting can do for your business. Isn’t it time you switched to a more reliable web hosting company? Netcetera, a leading provider of web hosting and Infrastructure as a Service (IaaS) solutions is pleased to announce the arrival of Windows Server 2016 for their web hosting plans. Windows 2016 is now available across a broad spectrum of our hosting solutions including Dedicated Servers, Virtual Private Servers, and Cloud Servers, giving businesses and enterprise clients access to Microsoft’s latest generation platform. It may have been a long wait but we firmly believe that our clients will benefit immediately from several key enhancements including advanced multi-layer security,easier management of both physical and virtual machines, multiple layers of built-in protection to reduce risks of their physical and virtual devices and run both existing and cloud-native applications using Windows Server Containers and Nano Servers. With these updates, Netcetera’s clients will now have multiple layers of built-in protection to reduce risks, eliminate suspicious activities, block malicious attacks and add extended protection to all their virtual machines. Clients can run their websites or applications in a smaller, faster, more secure environment where virtual machines can be setup in both Virtual Machine and Nano Server configurations reducing overall resource usage. Netcetera’s clients will immediately benefit from more security, reduced resource usage and significantly improved reliability. Not only will businesses now be able to benefit from Windows Server 2016 but by choosing to host with Netcetera you will be guaranteed first class support from our knowledgeable friendly team of experts. All of our hosting packages are available online with very simple no nonsense pricing. For those of you who may need a more tailored solution we can also provide you with everything you need to configure a package designed around your specific needs. So if you’re ready to take the next step to better hosting then there’s only one place to go. Register your interest today to take advantage of some fantastic prices right across our full portfolio of hosting and managed IT solutions. 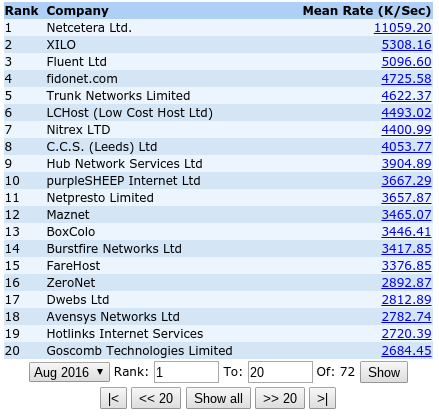 Netcetera has been ranked Number 1 for being the UK’s Fastest Host, as monitored by Webperf, the Monitoring Service Company. We’ve been in this spot for over a year and have written plenty about it. This is is because of how proud we are of this fantastic achievement, as the ranking is measured against the UK’s top ISPs! 2016 is a year full of great promotional offers from Netcetera to celebrate our 20th Birthday, so with so many great deals around there has never been a better time to find out how the UK’s most reliable hosting provider can transform your business. Netcetera 2 x Faster Than The Closest Competition! Webperf calculates the transferring rate against time. 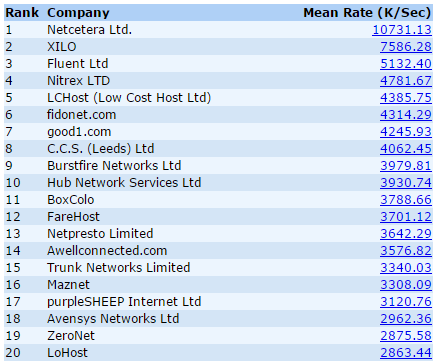 Since October 1998 Webperf has been the UK’s only independent ISP performance benchmark. Testing any willing ISP’s for performance and reliability 24/7. Unlike some ISP’s we are more than happy to have external monitoring as it clearly demonstrates just how fast and reliable our hosting is. Choosing a Cloud Server is never going to be an easy decision to make. Not only do you have to consider the cost but there are so many other key points that need to be considered prior to deciding on what the best option is for your business. One of which is where your Cloud is located. Netcetera is one of Europe’s leading cloud hosting companies and we can now provide a Cloud Hosting solution that spans 43 locations around the world 17 more than Azure and 8 more than AWS, giving businesses who want to use a cloud based server one of the largest global platforms available. We understand that clients who demand leading cloud performance and high availability for their applications want to locate these applications close to their operational base with the added benefits of an improved end user experience through low latency and fault tolerance. Another added benefit is having a truly scalable on demand server to cope with the demands of any business. Driven by the global economy and new markets Netcetera has dramatically increased its global presence to help customers and partners meet their own objectives of providing applications close to their user base. Very simply you will now be able to choose your locations and still only have to deal with one supplier regardless of where you need to be based. Another benefit of choosing to host with Netcetera is to mitigate against the risk of downtime or a complete IT systems failure. Although rare, failures can occur that affect the availability of instances that are in the same location. Netcetera can now help you mitigate this risk through offering multiple site locations across the globe for your cloud servers. With new markets opening across the globe leading to an ever increasing number of business opportunities it makes sense for businesses to fully utilise the benefits of a platform that will increase operational speeds and reliability. Our new cloud hosting service is available for businesses of all sizes to use and is perfect for a wide variety of applications from a cloud website to a fully hosted cloud IT solution. Netcetera can now leverage a truly global network of datacenters to maintain availability in a cost-effective manner providing our clients with the highest levels of service no matter where in the world they operate from. Our investment in the latest infrastructure technologies ensures our clients achieve the highest levels of reliability without any compromise on costs. All of this is backed by the best support available 24/7. The introduction of this exciting new Cloud platform will also be a welcome solution for e-commerce businesses looking for a solution that will put them closer to their clients guaranteeing improved speed of applications and super fast loading speeds for business websites. Our Cloud Solutions provide a broad set of services and partners, with support options easily available to help make sure you can focus on what will make your solution a success. Let us help you get the most out of Cloud technology today. It’s never too late to prepare a planB. London suffered another emergency situation on the 26th July 2016 which resulted in hundreds of office workers being evacuated as emergency services closed several areas around the London Wall. The emergency was caused by a huge gas leak which has caused the police to cordon off a large area and has resulted in many office premises to be closed down for the day. A spokesman stated that the road would have to be dug up to allow for the gas to be removed and that the area could be cordoned off for a long period of time. This isn’t the first time such an incident has occurred and yet many businesses within the City still do not have a Disaster Plan in place. Yesterday’s incident showed how important it is to have a planB in place. The cost of downtime is huge and with many businesses within the City operating on a global basis even the smallest amount of downtime can be catastrophic. It’s no longer a matter of, if, rather than when, will an event take place that could risk the functionality of your business? Here at Netcetera we specialise in providing enterprise class disaster recovery and business continuity solutions for businesses big and small. 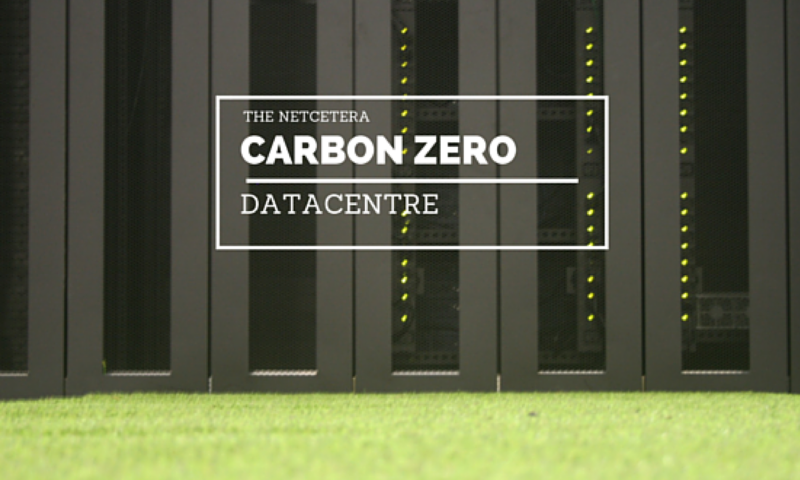 From within our modern zero carbon datacentre we can ensure that an emergency doesn’t have to become a disaster. Our IT Backup and Disaster Recovery solutions are second to none. With several options available built around your own requirements. We offer some of the most aggressive robust solutions available on the market. From continuous data backup for cloud and dedicated servers along with daily backups and cloud storage options and our modern onsite business recovery centre, we have your business covered to survive any incident. So if yesterday’s incident has made you think about what you have in place, there’s never been a better time to get in touch to see how we can protect your business from disaster with planB or one of our many other leading IT recovery solutions. Imagine having to put up with a really slow website, or a website that is never there when people are looking for it. Worse still imagine being stuck with it because the costs of moving to a better hosting provider are prohibitive? One of the biggest issues businesses and individuals have is being able to switch from a sub standard, unreliable hosting company to a hosting provider like Netcetera that delivers on price, security, speed, reliability and on the environment. There’s now no need to put up with substandard hosting anymore. We’ve made switching to better hosting quick and easy and when you pay annually for your hosting from the UK’s #1 we’ll migrate you over for FREE. We’ve taken on board all of your comments and we’ve made switching to better hosting so much easier, we’ll do it for you. That’s right, when you decide to switch to better hosting from Netcetera and pay for 12 months hosting we’ll switch your website for free. Not only giving you the most reliable fastest hosting in the UK but also saving you potentially hundreds of pounds in migration costs. So why not kick your unreliable hosting provider into the long grass and make the switch to better hosting the easy way with Netcetera today. Simply choose a hosting solution to meet your requirements, and let us worry about doing the move, we’ll take all the hassle away leaving you with a super reliable website and awesome 24/7 technical support. The Only Thing Harder Than Planning For An Emergency Is Explaining Why You Didn’t! Over the last few months we’ve been working hard to make Disaster Recovery and Business Continuity more cost effective and simple to set up. Unfortunately it’s not a subject that everyone enjoys reading about but at the same time it’s something that many businesses cannot do without. Hopefully your business doesn’t fit in with any of the below but if it does we feel we have the answer to any concerns you might have. Although the statistics may appear to be on the negative side, it doesn’t have to be like this for your business. 80% of companies have not developed crisis management for IT coverage to support business continuity, keeping the business functioning effectively. 25% of financial institutions have no business continuity plan. 19% of financial institutions who have business continuity plans have not tested them in the last five years. 80% of business without a well structured recovery plan are forced to shut within 12 months of a flood or fire (information courtesy of the London Chamber of Commerce). Having a well structured plan in place can shockproof your business against many of the events that could, under normal circumstances prove catastrophic for your business. Flooding, storm damage, power cuts, human error and computer viruses are common place events that can adversely affect the functionality of a business. These are just a few of the many unexpected reasons a business might have to cease trading. Small and medium sized businesses are particularly vulnerable if they don’t have a contingency plan in place when disaster strikes. Minimise interruption of normal business operations. Minimise any financial and reputational repercussions. Establish alternative means of operations. Train personnel in emergency procedures. Provide smooth and rapid service restoration. Quite simply, the question we’re asking businesses to think about is “how does your plan stack up?” Could your business continue to function without an office or IT system? You’re probably now thinking “do the costs add up and is it really worth it?” The following example might help. This is what occurred when Sabre Travel’s IT system crashed for 3 hours. Sabre Travel – Sabre operate a booking system used by 300 of the world’s biggest airlines. The travel world was thrown into turmoil when their systems went down.. From a customer’s perspective thousands faced long delays, cancellations and couldn’t book flights. From a business perspective there was the loss of income due to customers inability to book flights and a negative impact on brand image. The outage is estimated to have cost Virgin Airlines between £6.5 and £10 million pounds. On a much smaller scale, a business with a yearly revenue of £250,000 can expect costs of £147.00 per hour, or £1,176.00 per day from down-time. These figures do not include the costs of reputational damage and potential fines if data is lost due to an incident. When looking at those costs, can a SMB survive for example a week of downtime resulting from flooding? Disasters such as this don’t only carry financial costs, but also reputational damage. Furthermore, the disaster may lead to a loss of data which can result in hefty penalties from regulatory bodies. On a positive note, choosing a solution that is both cost effective and meets your requirements has just been made a whole lot easier. Just ask yourself the questions below and if any of them make you feel a little uncomfortable the planning process has already begun. When did you last try restoring your business critical data? 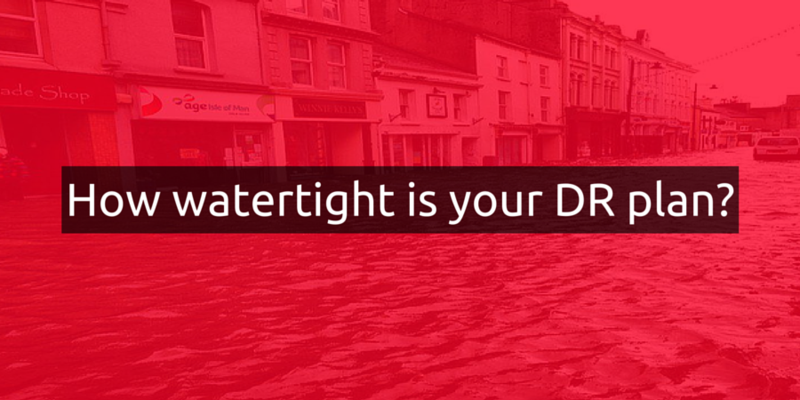 Are you confident that in the event of a disaster recovery that you can get your IT system back-up seamlessly? If your office became unavailable what would happen to you clients and staff? Could you survive for more than a week without IT and an office? Does your insurance cover your business for loss of data and income? Do you know how much your business would lose as a result of 1 week of downtime? Get a quote from Netcetera for your DR today and even if your current agreement isn’t up for renewal any time soon we’ll keep the quote valid so you can compare what’s available, helping you to make the right choice.